Some of the products mentioned in this post where received as PR and are marked by an *. Also, some links in this post are affiliate links. If you purchase a product using my link I will earn a small commission. Thanks in advance if you decide to shop through my links! 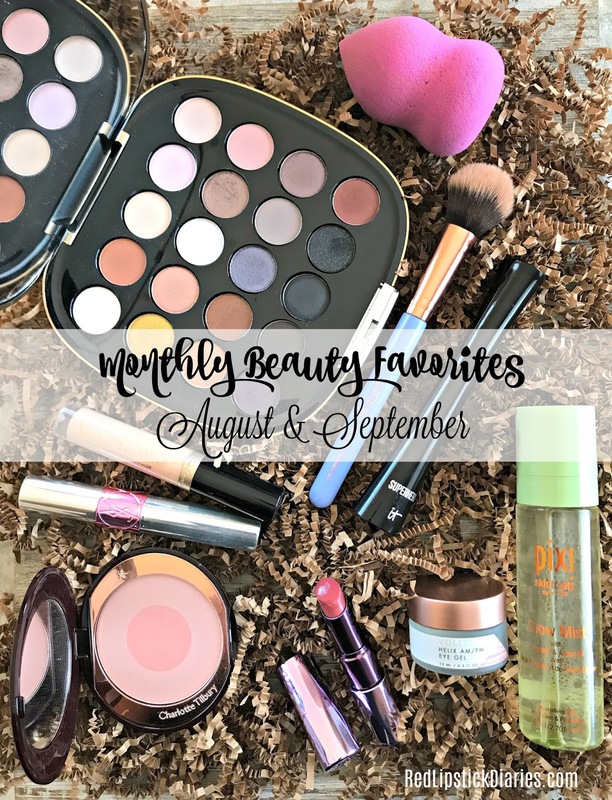 I missed my August favorites because that month I was trying so many new things that nothing really stuck out as an instant favorite. September was also full of new products to test, but I went back and looked for the products that I used constantly even with the influx of new products and found there were quite a few. One of the favorite pieces in my collection is the Marc Jacobs About Last Night 2016 Holiday Palette. I had wanted to purchase the 2015 version of this palette so badly, but the $99 price tag held me back. When the 2016 version came out in October, I purchased it on the spot. I didn't even wait for the VIB sale and the 20% off, which might have been a good idea, but I didn't want to live with regret in case it sold out. I've actually never looked back, I love this palette. Yes, it was hella expensive, but when you take into consideration how much the Marc Jacobs 7-pan palettes cost, the 20-pan palettes are a good value. Plus this palette has a color range that I can def hang with, it includes some cooler tones which you don't see a lot of. When I use these shadows I never get a ton of fall out, I can get a variety of looks out of it and I am always happy with my eye look. So far it's been worth the money for me and these last two months I really took it for a spin trying to decide whether I need the 2017 version as well. Will I be buying the 2017 version? Probably not. As much as I love this palette, it's expensive and there are so many new launches that it's hard to spend that much cash one just one item. Again in my favorites is the the Charlotte Tilbury Cheek to Chic Swish & Pop Blush in First Love. It's just such a perfect neutral shade that goes with any eye look and lip color and it's hard to go overboard with it. Through being as heavy handed as I am with my blush, I managed to do that a few times recently. But everything about this blush from the packaging to the formula is perfection and I highly suggest it. I don't actually have a favorite foundation for the last month because though there have been a few new ones I like, I haven't used any consistently enough to say they are favorites. But when it comes to applying the foundations I have been using, I have gone back and forth between this Luxie Precision Foundation Face Brush and the L'Oreal Infallible Blend Artist Foundation Blender. The L'Oreal Infallible Blend Artist Foundation Blender sponge is under $8 and a much more affordable alternative to the Beauty Blender. I own two beauty blenders and find myself reaching for this sponge more than I do those. I got the Luxie brush in an Ipsy bag a few months ago but it is for sale on their webpage for $24. My go-to concealer in August was the Benefit Boi-ing Airbrush Concealer which I mentioned in my July favorites, so I won't go into it again. That concealer is so good to my dry under eyes and because of it, I could not put it down in August either. But in September I reached into my stash and pulled out another favorite for dry skin, the Too Faced Born This Way Concealer. Too Faced Born This Way Concealer is is light-medium coverage concealer made with coconut water so it's hydrating and doesn't cake up. I actually think this gives me a more natural look than the Benefit Airbrush Concealer and since it's so creamy and hydrating, it's really kind to my under eyes and doesn't make them look older. I would not recommend this concealer to anyone with oily skin, but if you have normal to dry skin, and not looking for super coverage, I would def give it a try. 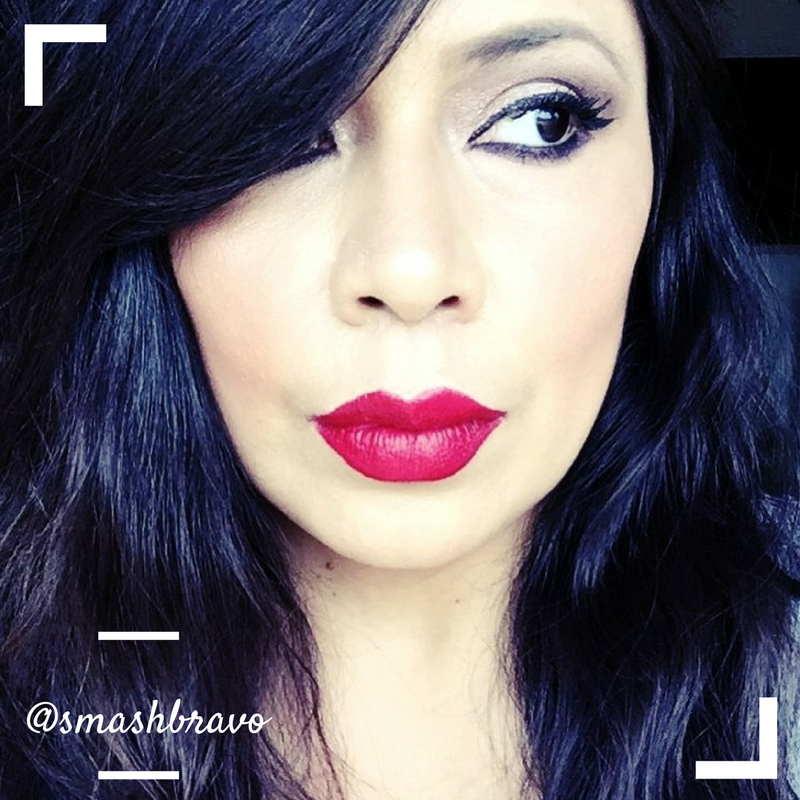 When it comes to lips, I have two products that I really enjoyed in Aug/Sept. The YSL Volupté Tint-in-Oil in the shade Pink About Me has been in my collection for a bit but I must confess I never gave it much attention. I own quite a few lip oils and usually reach for my drugstore ones, but these last weeks I have had this tube at my desk and have loved applying it as I work. It's the most decadent lip oil with a hint of color and a really nice fruity scent. You can see a full review for this product HERE. The Urban Decay Sheer Revolution Lipstick in Sheer Liar is newer to my collection, I actually picked this up during my birthday month from UrbanDecay.com in order to get my birthday gift and I love it! Sheer Liar is a mauve shade that is again, perfect with any eye look. This is the shade I can put on everyday and not think about it, plus the Urban Decay Sheer Revolution formula is so comfortable on the lips. And while this is a "sheer" formula, I find that I can build it up to full color on my lips. I own two lippies in this formula and would def buy more. FYI: This original formula has been discontinued but you can still find it for $10 in the Urban Decay website. Lastly, there are two skincare products that I have been loving these past two months. The *Pixy Glow Mist has made the rounds here before, this seriously is one of my favorite products of the year. 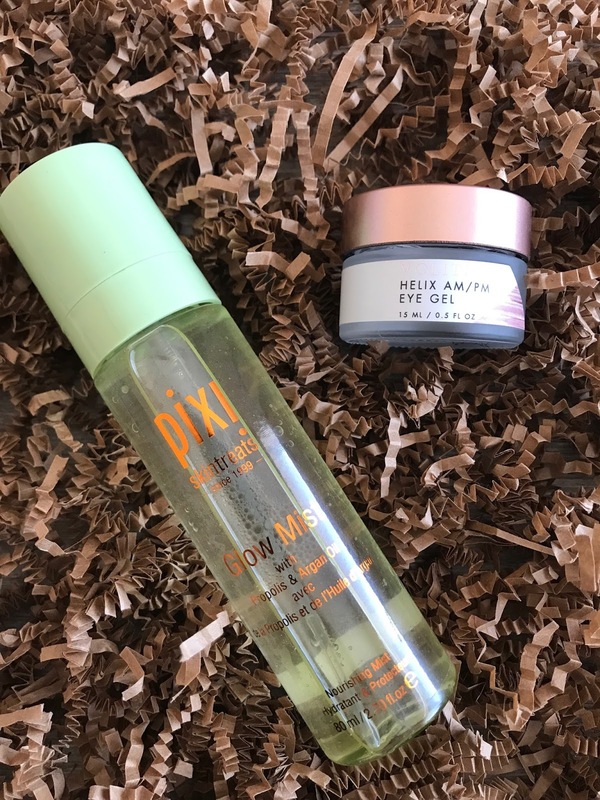 I have dry skin that needs as much help in the glow department as possible and Pixi Glow Mist is perfect for finishing off my makeup, not only does it melt all the makeup together and take away any powderyness, it gives my skin the most luminous glow. I also use it with more full-coverage, matte foundations and while it changes the finish a bit, I still get that beautiful full-coverage look. This product is similar to Mac Fix + in a lot of ways but I don't think I would suggest Pixy Glow Mist for anyone with oily skin because the glow factor is pretty strong. Pixi Glow Mist such a multi-tasker and easy on the budget at only $15. 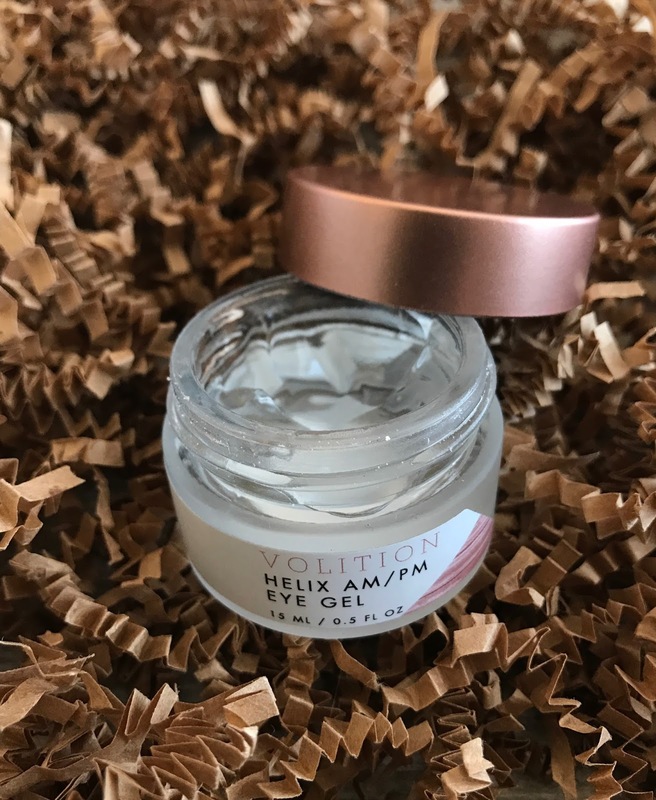 A new product to me in these last two months that has become a daily go-to is the *Volition Beauty Helix AM/PM Eye Gel which you can now find at Sephora. This eye gel has the most wonderful, cooling gel consistency and feels amazing on the entire eye area. I've been using this gel consistently for a few weeks and while I can not yet attest to the anti-aging aspects, I can def say that I love how incredible it makes my skin feel. Even though this gel feels very rich and nourishing, it sinks into the skin pretty quickly and takes the dryness with it. I then have a great base for foundation and concealer that does not disrupt anything I put on top, if anything it really primes the area you put it on. With continued use I hope to see more benefits and will update on those later. For now, this is a step in my routine that I look forward to each day. I actually have some new and really awesome mascaras in my stash, like Lancôme's Mr. Big, but I could not put down the It Cosmetics Superhero Mascara after pulling it out one evening. I have been raving about this mascara since first trying it last year and it's still a favorite. My favorite place to purchase the It Cosmetics Superhero Mascara is on QVC where they have a duo for $29 (I am on my 4th duo) or you can always purchase it at Sephora or Ulta for $24a tube. As you can see, the duo over at QVC is def the way to go. Either way you decide to go, I highly suggest giving this mascara a try. I have pewny lashes, they are very sparse and they are short. Yet, just one coat of It Cosmetics Superhero Mascara and my lashes are long, thick and beautiful. You need this mascara in your life!